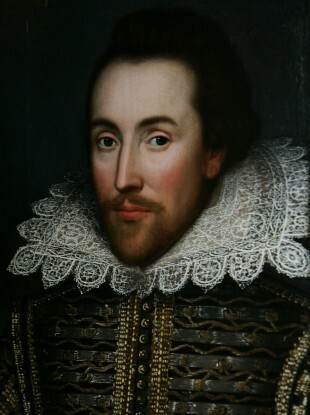 The Cobbe portrait - a newly discovered painting believed to depict William Shakespeare and have been painted during his lifetime. A RECENT SURVEY has revealed that almost a third of British schoolchildren under the age of 13 have never heard of William Shakespeare. One thousand schoolchildren aged between six and 12 took part in the survey, which aimed to discover what was known of England’s most celebrated playwright. The survey also questioned 2,000 adults – and showed that about 12 per cent of them did know who Shakespeare was. A further 27 per cent of adults said they had never read a play by Shakespeare, reports the Huffington Post. The Vision Critical survey found that 5 per cent of people aged 18 to 34 believe that the playwright’s most famous work is Cinderella, while 2 per cent from the same age group think he is a fictional character, Channel 4 reports. Several notable actors have called for a rethink in how Shakespeare’s classic works are taught, in response to the survey. Meanwhile, 49 per cent identified Macbeth as The Bard’s most recognisable character. The research findings have been published as The Hollow Crown and released on DVD. Email “One third of British children have never heard of Shakespeare - survey”. Feedback on “One third of British children have never heard of Shakespeare - survey”.